GoPro has had something of a challenging few years. Employee numbers have shrunk, the Karma drone launched and literally dropped out of the sky – not helped by the arrival of DJI’s Mavic range. In the following couple of years, GoPro has been working to get back to its core, and try to make money. The camera range is streamlined (there’s no more session), and from now there’s no more Hero, Hero 5 or Hero 6. Instead, we have three Hero 7’s, with different prices and varying feature sets. 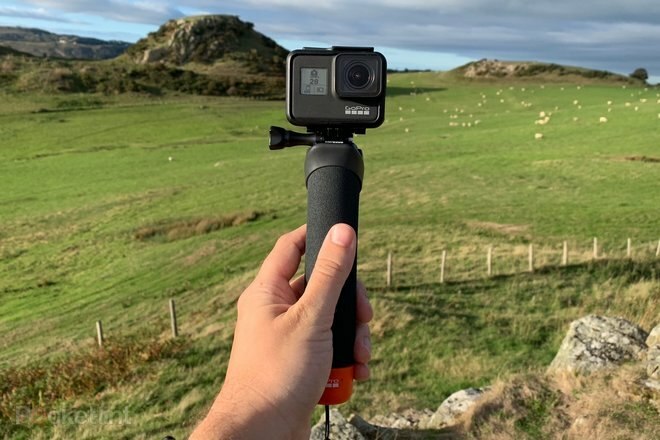 Whether they’ll be enough to get people buying GoPros again is yet to be seen, but we’ve taken the new headline Hero 7 Black camera out for a spin to see if it’s as impressive as GoPro claims. 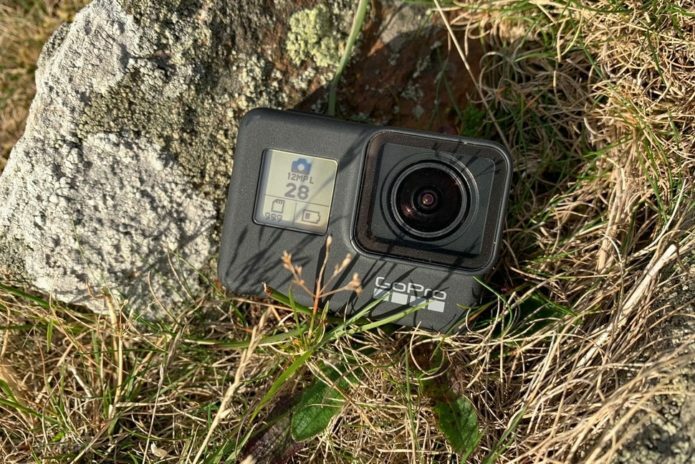 From the outside, the newest GoPro Hero – along with its Silver and White counterparts – may look virtually identical to its predecessor, but that’s no bad thing. From an aesthetic standpoint it’s not the drastic change some people crave, but from a practical standpoint it’s great. 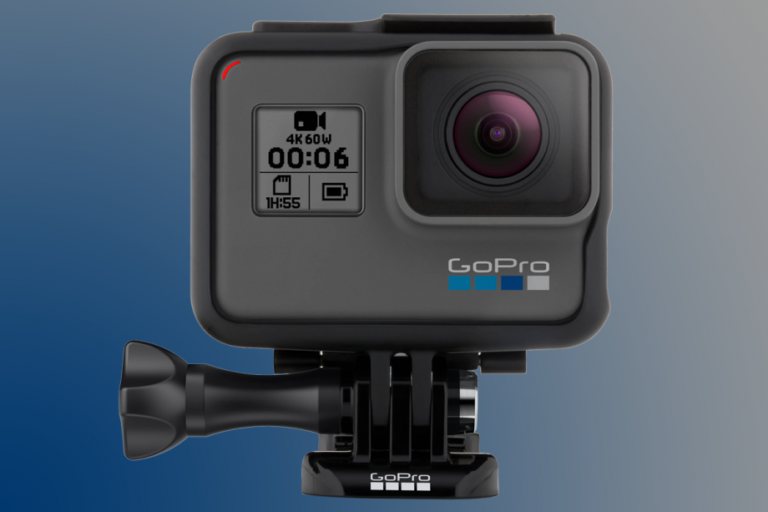 People who buy new GoPro cameras generally have had them before, and many invest in additional accessories, casings and mounts. An entirely new shape would mean reinvesting to either a) make the camera fit existing equipment or b) replacing old accessories with all-new ones. Still, put the Hero 6 and Hero 7 Black side-by-side and there’s still enough difference to tell them apart. Rather than be a matte dark grey, the Hero 7 Black is (as its name suggests) actually black. Similarly, the Hero 7 White and Hero 7 Silver (replacing the Hero 5 and 2018 Hero) are coloured to match their names. Most of the exterior is covered in a soft-touch textured finish, giving it some form of grippy-ness. Although saying that, the sides and bottom edges don’t have the grippy, textured rubbery feel of its predecessor. In our testing so far, it hasn’t made it difficult to keep hold of, so it’s not exactly missed. Buttons, ports and features are all positioned in the same places as before. That means you get the square-ish protruding lens housing on the front, alongside a small monochrome display, while the back features the colour touchscreen. Looking it from the back, the left side features the small door flap covering the mini HDMI and USB Type-C ports, and the underside is where you’ll find the battery door which – as well as giving access to the removable battery – also covers the microSD card slot. Apart from that, there’s the standard physical button layout for controls. The record button with its red circle icon sits on top of the camera, while the power/mode button is on the right (looking from the back). 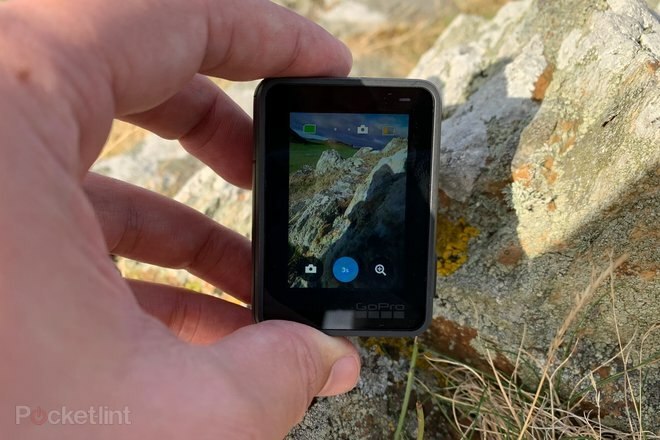 It’s the same, small, durable and lightweight build as before so it’s no issue to carry around in your hand or pocket, and thanks to being waterproof, you can also take it to record any water based activities. That’s presuming you don’t take it passed its 10 meter depth limit. 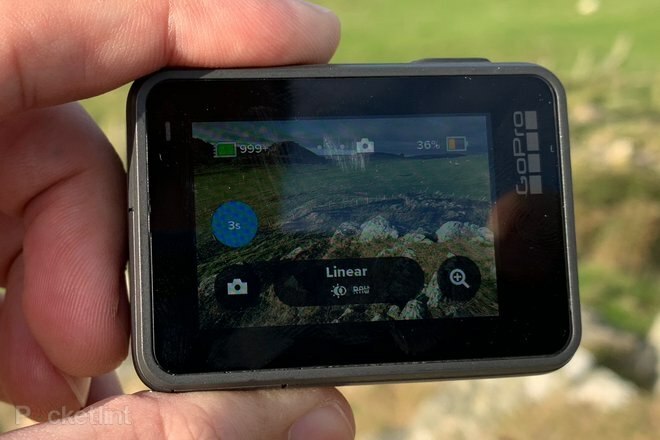 As well as having all the high end photo and video capture capabilities you’d expect from a top-of-the-line GoPro, there are a couple of additional shooting features you need to know about here. Both enabled by some clever stabilisation added by the internal GP1 processor, now with added DRAM. First up, and perhaps the most visually stunning is TimeWarp. It’s essentially a time-lapse video, but unlike you’ve seen before from a GoPro. Because it’s stabilised using an algorithm, the footage is stupidly smooth. 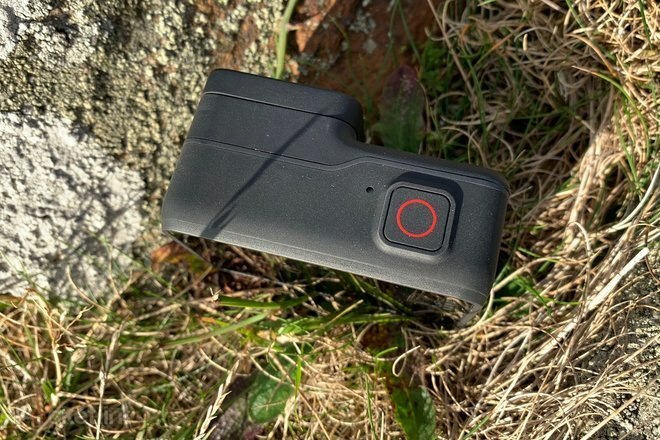 We tested it a couple of times, both walking a running either just holding it in our hand and pointing it forward or in a regular non-stabilised GoPro handle/grip, and it completely smoothed out the erratic up-and-down movement that usually comes from trying to hold something still while running or walking. The same stabilisation is present in regular video mode as well, even when shooting at the highest 4K resolution at 60 frames-per-second. Again, running and holding it in our hand with no physical stabilisation, it did a great job of evening out the usual shakiness you’d expect to see, although it didn’t always completely cut out the side-to-side movement. Still, the difference between 4K on the Hero 7 and Hero 6 is really noticeable. As a bonus, the highest resolution video saves using the HEVC codec, and so takes up less space on your microSD card than it would previously. Otherwise, you get a lot of the same features and recording modes we’ve had before. There’s 240 frames-per-second slow-motion video recording at 1080p resolution, but sadly this mode doesn’t include the HyperSmooth AI-powered stabilisation. That seemingly proved – processor wise – to be a bit too much. One new feature you’ll either love, or ignore, is the ability to shoot vertical videos and photos. This is clearly aimed at the Snapchat and Instagram Stories generation. Turn the camera on its side and the interface on screen rotates 90-degrees and it shoots vertical. It may not be something you’d use all the time, but potentially a feature you could take advantage of if you want to make yourself a new smartphone wallpaper, even if you never use Instagram Stories or loathe vertical video. Another thing, GoPro is enabling live streaming through its GoPro app to Facebook Live. Sadly, we weren’t able to get access to this feature during testing, but will report back once we’ve had chance. Similarly, we weren’t able to test out the feature that allows you to share vertical video directly to Instagram Stories from the camera, through the app. Having a touchscreen on a GoPro isn’t a new thing, but the revamped interface changes the way you interact with it, for the better. While similar gestures are required to launch different features and settings, the new onscreen buttons are easier to understand and easier to use. You swipe left or right across the screen to switch between time-lapse, video and photo modes, or swipe down from the top to get to in-depth settings and preferences. You also get a couple of onscreen buttons to quickly change the shooting modes, by choosing your resolution, frame rate or – when shooting stills – opting for Night mode or Burst mode. It’s really intuitive and, while using a small touchscreen can be fiddly, it’s not at all difficult to learn how to use it. As with the previous camera, you can also shout “GoPro, take a photo” or such commands, and it’ll respond with the appropriate action. The list of commands is limited, and its reliability is temperamental, but it can be a handy feature, sometimes. One interesting feature is its ability to detect smiles and faces, not necessarily to activate shooting as soon as it sees one, but rather to be able to analyse the best frames in a video to choose when the GoPro app automatically cuts together a QuickStory for you in the background. In addition to more video features, the still photography has been improved, again using the power of the internal processor. It’s a 12-megapixel camera, but has been enhanced with a feature called SuperPhoto. What this essentially does is automatically boosts contrast and colour when it’s needed, and in localised zones. For low light shots, it rids the photo of noise, making dark blue skies seem smooth and grain-free. Or, at least, that’s the claim. We’ve had mixed results so far, with some contrasting light conditions causing quite dark shots, particularly when there’s bright backlighting from the sun. Still, we’ll test it some more and update when we have. 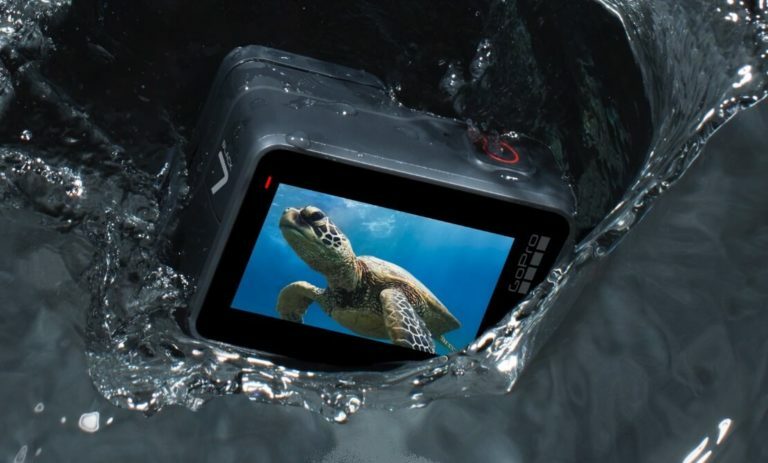 GoPro’s latest camera is undoubtedly its best yet. The advanced stabilisation works well in most conditions, improving massively on the Hero 6. It might not be enough for Hero 6 owners to upgrade, but anyone with any previous camera should consider it. With all that said, we’re still in awe of the stabilisation features, particularly in the TimeWarp mode, it makes such a huge difference. 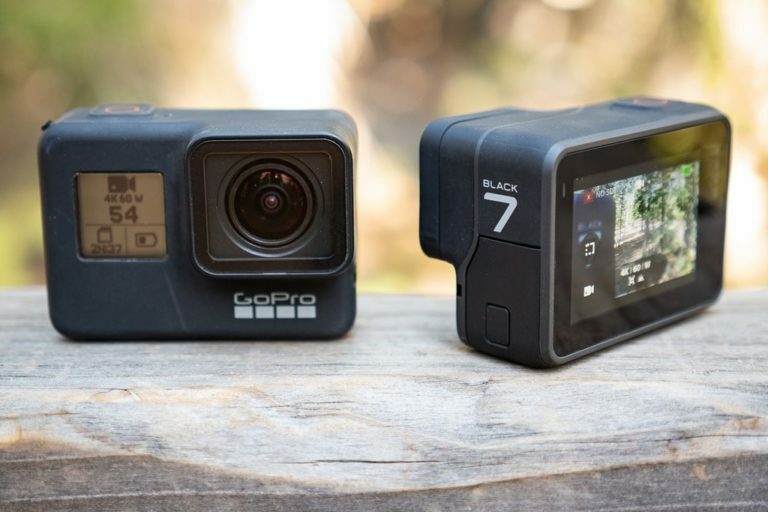 If you’re in the market for a new GoPro and want the most impressive to date, the new Hero 7 Black seems a no-brainer. If it’s your first and you’re just getting started out, it’s perhaps worth considering one of the equally new Silver or White models. and save some money while you learn the ropes of action sports capture.